SHREVEPORT, LA. – General Motors today confirmed that it will invest approximately $73 million into its Shreveport, La. truck assembly plant to prepare the plant for production of the all-new HUMMER H3T. Cal Rapson, UAW vice president and director of the GM Department, also voiced strong support for the project. "This investment is a testament to the members of UAW Local 2166 for their hard work and commitment to build high quality products," Rapson said. "UAW members at the Shreveport plant are an important part of the team that is bringing this exciting new GM vehicle to the market." Larger than a midsize truck, smaller than a full-size, the H3T delivers attitude, versatility and capability. 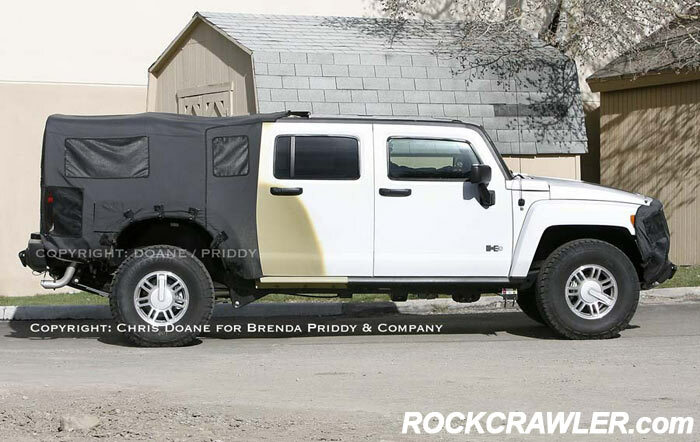 And more important, with a fully functional truck bed and one of the industry’s broadest range of personalization accessories, the H3T provides a new level of lifestyle functionality to the HUMMER portfolio and will draw new customers into the brand. The H3T is scheduled to arrive in dealerships by third quarter 2008. In the last several years, GM has invested approximately $1.5 billion in the Shreveport facility. This investment along with the plant’s annual payroll of $160 million and annual taxes of $4.5 million, demonstrates that GM will continue to be an economic force in the local community and state of Louisiana for years to come. Shreveport Assembly has built trucks since 1981, beginning with the Chevy S-10. The plant presently produces the HUMMER H3 and Chevy Colorado and GMC Canyon mid-size pickup trucks. Shreveport Assembly employs approximately 2,100 employees.